Is Dental Disease Related to Heart Disease? Posted on February 10, 2017 | Comments Off on Is Dental Disease Related to Heart Disease? There’s no question that oral bacteria influence the health of teeth and gum tissues. Because teeth have non-shedding surfaces, the ecosystem in the biofilm that colonizes on tooth surfaces is not only persistent but highly complex. Did you know that oral plaque and arterial plaque have been found to have similar inflammation-promoting pathogens? Over the last two decades, scientists have been studying the relationship between periodontal disease and atherosclerosis. Although inconclusive, researchers say it makes sense that inflammation in one area of the body might influence inflammation elsewhere in the body. Overall, it appears that there is a small, but significant association between periodontitis and cardiovascular disease. Per the Mayo Clinic, increasing evidence shows that oral infections may play a role in the development of many systemic diseases. Taking good care of oral health is not proven to prevent heart disease, nor is treating existing gum disease proven to reduce heart disease risk. However, ongoing studies show that treating periodontitis reduces the serum concentration of inflammatory markers, primary measures associated with chronic heart disease, cancer and other serious health conditions. Those who have periodontitis often have risk factors, such as diabetes and smoking, that put their oral health, as well as the health of the heart and blood vessels in jeopardy. Per the American Heart Association, shared risk factors contribute to general inflammation and may explain why gum disease and heart disease may occur simultaneously. 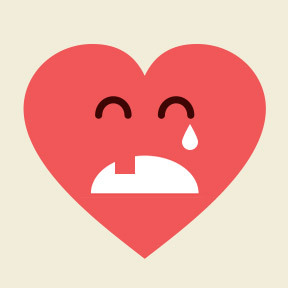 Aggressive gum surgery can be risky for those who have had a heart attack or have a heart condition. While we don’t often equate good dental health with equally good overall health, it makes good sense to be diligent with brushing, flossing and regular dental cleanings and oral exams. Traditionally, oral health was described as the absence of disease. In 2016 the FDI Dental World Federation described oral health a new way: “Oral health is multifaceted, and includes the ability to speak, smile, taste, touch, chew, swallow, and convey a range of emotions through facial expressions with confidence and without pain, discomfort and disease of the craniofacial complex.” Use good oral hygiene to control the risks of halitosis, gum disease, and tooth loss and very likely support overall wellness. Brush after meals, or at least twice daily, with a soft bristled toothbrush. If you are not sure you are brushing properly, have your dentist or hygienist show you. Change your toothbrush every three months, or more often if bristles look worn or spread out. Don’t smoke, as smoking raises the risk of gum disease, as well as oral and throat cancers. See your dentist twice yearly, or as recommended. Certain medical conditions, such as diabetes, may require more frequent visits. If you notice any bleeding, mouth sores or jaw pain, see your dentist as soon as you can. Eat a balanced nutritious diet to support overall and dental health. Certain medications can cause dry mouth, which can lead to cavities. Consider a dry mouth toothpaste or mouthwash formulated to help treat the symptoms. 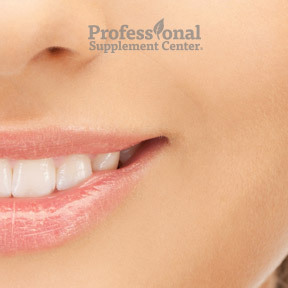 Periodontal disease is associated with lower levels of important vitamins and minerals. Probiotics may help to decrease inflamed and swollen gum tissues and suppress the growth of harmful oral pathogens. Plant foods that are rich in anthocyanins, such as berries, may help to prevent pathogens from colonizing on teeth. Green tea contains polyphenols that help to reduce oral bacteria. Pycnogenol has been shown to decrease plaque and support healthy gum tissues. Raw vegetables and fruits not only provide vitamins, minerals and healthy fiber, they help to remove food that adheres to teeth, especially after a meal. DentaVen™ by Premier Research Labs – This unique patented formula provides a highly desirable strain of probiotic that colonizes and resides in the mouth, beneficially supporting tooth and periodontal health. Gluten free. Neem Mouthwash by Theraneem – Validated by modern science for oral care, neem has been used for centuries in Ayurvedic medicine to maintain healthy teeth and gum tissue. Neem helps to eliminate the bacteria that causes inflammation, while helping to heal tissues and freshening breath. Gluten, paraben and phthalate free. PerioBiotic™ Fennel Toothpaste by Designs for Health – This fluoride-free probiotic toothpaste is formulated with Dental-Lac™, a specific probiotic strain, in support of healthy oral bacteria and the maintenance of dental health. Gluten free. HylaMints Dry Mouth by Hyalogic – These teeth friendly mints provide moisture support for dry mouth with hyaluronic acid, nature’s natural moisturizer. HylaMints freshen breath, while promoting oral comfort and enhancing salivary function. Natural peppermint spearmint flavor. Gluten free, vegan formulation. Pycnogenol® by Douglas Laboratories – This powerful natural antioxidant helps reduce oxidative damage to tissues and supports capillary and arterial health, normal joint mobility and healthy gum tissues. Gluten, soy and dairy free formulation. Comments Off on Is Dental Disease Related to Heart Disease? Clean teeth, fresh breath and healthy gums are useful indicators of good overall health. Unless a problem arises, or it’s time for a dental checkup, one might remain unaware of the importance of their oral health. Teeth and tissues age along with the body, requiring proper nutrition and daily maintenance throughout their lifetime. As we grow older, it becomes ever more important to maintain oral health, especially if one wishes to retain their dazzling smile and keep their mouth looking younger than their years. While teeth are amazingly strong, anyone who has had a cavity knows they are not indestructible. Proper bushing, daily flossing and regular checkups are necessary, not only to prevent cavities, halitosis and inflamed gum tissues, but also receding gums, loose teeth and tooth loss associated with periodontal disease, a chronic bacterial infection, that affects not only oral health, but general health as well. The mouth is a major point of entry for viruses, pathogens and bacteria. As part of the immune system, the mouth is well equipped to handle this environment. Even so, the integrity of the tissues can become compromised, as poor oral hygiene can result in swollen, bleeding gums at any age. Many of us may think we are past our cavity prone years once we reach adulthood. However, as we approach middle age, teeth and tissues become more vulnerable. It’s common for gums to recede with age, exposing more of the tooth’s surface near the gum line. Because the root of a tooth is not protected by enamel, decay can quickly take hold. Many adults who have not previously had cavities may be surprised at their next checkup. Although not considered a normal part of aging, dry mouth is a common cause of tooth decay and gum disease in older adults, who are more likely to be on medications. Many prescription and OTC medications list dry-mouth as a side effect. Discomfort aside, good saliva flow is necessary to maintain good oral health, neutralize acids from bacteria, lubricate the tissues and aid the digestive process. Because dry mouth can lead to oral health complications, those with noticeable symptoms should increase their fluid intake and see their dentist if the problem persists. Oral health can be affected by medical conditions such as diabetes, acid reflux disease and eating disorders. Chronic offensive breath can be caused by several factors, including strong smelling foods, trapped food particles, dry mouth, organ diseases, digestive problems and diabetes. Those with diabetes need to take extra care with their dental health, as high blood sugar increases oral bacteria, leading to a higher risk of periodontal disease. Periodontal disease is associated with an increased risk of heart disease and stroke, possibly a result of generalized chronic inflammation and bacteria from unhealthy gum tissues. 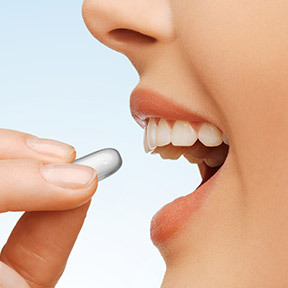 Magnesium helps to prevent cavities by building strong tooth enamel. Calcium supports tooth enamel and bone health, including the jaw bone. Vitamin D helps the body absorb calcium to aid in tooth structure maintenance and bone health. Vitamin D deficiency can result in dry mouth. Vitamin A supports tissue and mucous membrane health and helps maintain saliva flow, important for washing away food particles or harmful substances. Vitamin C supports tissue health, helping to prevent gingivitis, an inflammation of the gum tissues that can result in painful, red, swollen and bleeding gums. Zinc helps to prevent bacteria overgrowth, provides immune support and may lessen plaque buildup around the gum line. Vitamins B1, B2 and B3 help to keep gum tissues healthy and strong, and reduce the risk of developing canker or other painful mouth sores. Drink plenty of water throughout the day and eat a healthy nutritious diet, low in sugar and higher in protein, fruits, vegetables and nuts. Brush 2 – 3 times per day with a soft bristled brush and be sure to brush along the gum line. Floss daily to remove plaque and food particles that are not easily removed by brushing. If you can’t brush, rinse. Swishing and rinsing removes trapped food particles. Don’t smoke. Smoking contributes to gum disease, tooth decay and tooth loss. Address dry mouth issues by frequently sipping water or using a number of OTC products, such as dry mouth gum, lozenges or mouthwash to address symptoms. See your dentist as needed. Good-Gums by Good-Gums – This chemically-free tooth powder soothes sore gums, supports healthy gum function, neutralizes bacteria, and helps build strong tooth enamel. Non-abrasive, gluten free, Non-GMO botanical formula. 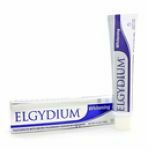 Elgydium™ Whitening Toothpaste by Puralex Health Products – This unique formula provides extra-gentle, in-depth cleansing, helping to eliminate food and nicotine stains while protecting enamel. Internationally recognized for superior quality. DentaVen™ by Premier Research Labs – This patented formula provides a highly desirable probiotic strain that colonizes and beneficially resides in the mouth in support of tooth and gum tissue health. Gluten and excipient free, Non-GMO formula. Clovanol by North American Herb & Spice – This proprietary formula provides steam extracted clove oil often used in the dental field to support tooth and gum health. Non-GMO formulation. HylaMints – Dry Mouth by Hyalogic – These teeth friendly, moisture-supporting mints provide oral comfort, enhance salivary function and naturally balance oral moisture. Vegan friendly, gluten free formula.